A building to house the Mathematics Department, previously dispersed in several buildings (Raphael Viñoly Architects, 2013). 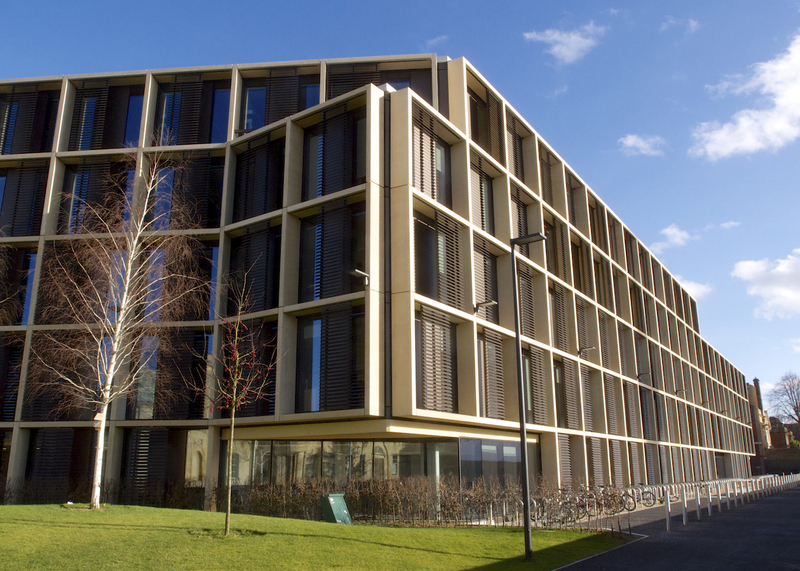 The building provides a new home for more than 170 faculty, research fellows and postdoctoral researchers, and over 1200 undergraduate and postgraduate students. It comprises two wings joined by a triple-height, light-filled entrance lobby. The external form of the building is strongly cellular, reflecting the dominance of peripheral, acoustically isolated offices for academics. These private spaces contrast with large, top-lit atrium spaces in each wing, providing circulation by galleries, stairs and bridges, and spaces for social interaction. 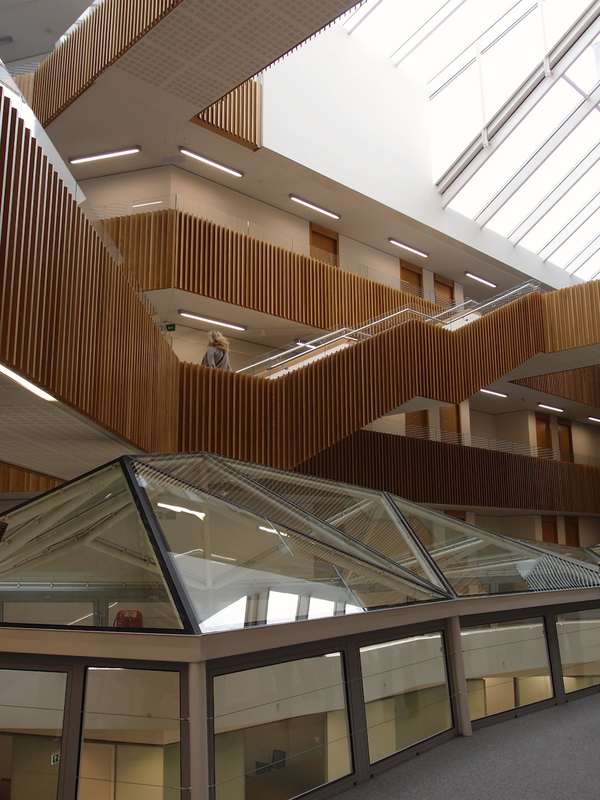 Three lecture theatres and smaller teaching spaces are located on the mezzanine level.